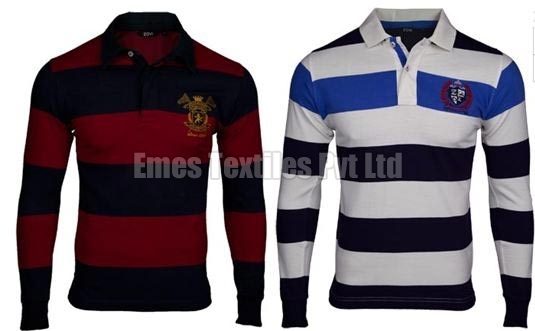 Customers can avail from us the best quality Menâ��s Polo Full Sleeve T-Shirts. Made from premium cotton, the Menâ��s Polo Full Sleeve T-Shirts are available in the latest style pattern. Our Menâ��s Polo Full Sleeve T-Shirts are designed in numerous sizes to suit all the body types. Alluring designs, soft feel, colorfastness and resistance to shrink are the salient features of Menâ��s Polo Full Sleeve T-Shirts. © Copyright 2009 - 2010. 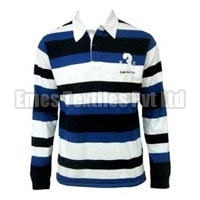 Emes Textiles Pvt. Ltd.